Parking Structure #2 at California State Polytechnic University has won an award given by the International Parking Institute. The structure was chosen as the winning entry for Category VI – Award for New Sustainable Parking and Transportation Facilities Excellence. The project recently achieved bronze level Parksmart Certification which is administered by the Green Business Certification, Inc. (GBCI). 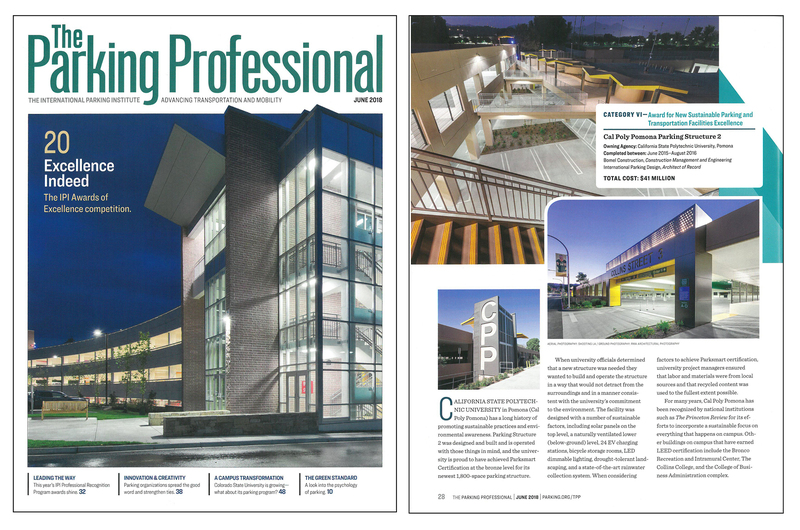 For more information on the International Parking Institute and The Parking Professional Magazine, please click here.